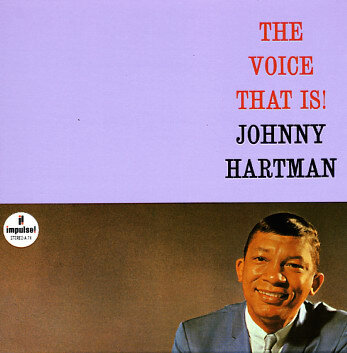 At the time of this album, Johnny Hartman definitely was the voice that is – a singer with a new level of maturity for the 60s, and a voice that's far more masculine than the geeky look of the photo on the cover! Hartman's sound here is smooth and warm, but never in a too-commercial way – a great antidote to some of the bigger singers of his generation, and cast perfectly here in some lightly jazzy arrangements by Bob Hammer. A few tracks feature backing by a quartet led by Hank Jones – and the rest feature a slightly larger group with 2 guitars and some nice Latin percussion. Titles include "Funny World", "Waltz For Debbie", "It Never Entered My Mind", "Let Me Love You", "My Ship", "The Day The World Stopped Turning", "Slow Hot Wind", and "The More I See You". © 1996-2019, Dusty Groove, Inc.